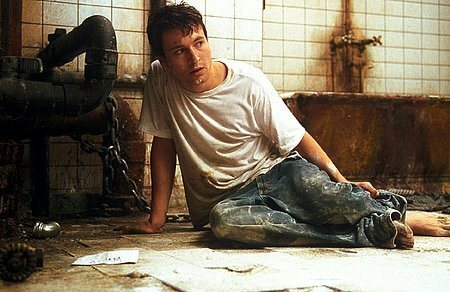 Adam (Leigh Whannell) and Dr. Lawrence Gordon (Cary Elwes) wake up chained to pipes at opposite ends of a dirty utility room. They soon learn that they have become the victims of the Jigsaw, a man who devises intricate situations to teach his victims to value their life by forcing them to hurt themselves or others to stay alive. Jigsaw is described as a killer, but never actually does any harm to his victims. Pitted against the clock and each other, the two must work to outwit their captor and save Gordon's family, who have been taken hostage by the killer. 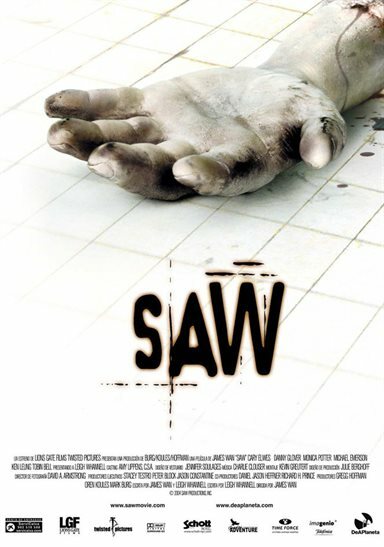 Download Saw in Digital HD from the iTunes store. 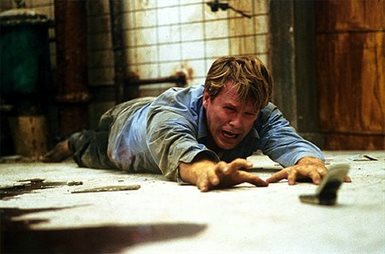 Saw images are © Lionsgate. All Rights Reserved. Saw images © Lionsgate. All Rights Reserved. 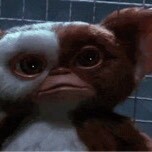 Starting this weekends horror movie marathon.